"They have gone above and beyond. You have no idea how much i appreciate you." "They know their business and make you feel comfortable." "Best place ever. I will never take my kids anywhere else." "I just became a new patient, the receptionists are fabulous." "Ely Shapiro is a very good doctor. I would recommend him to anyone." "Very accommodating office. I walked away feeling all my needs were met." "Dr. Shapiro is kind hearted. He went above and beyond to help our family." "My daughter has had two surgeries with Dr. Shapiro and I can't say enough good things." "He is very easy to communicate and he is excellent at what he does." "Dr. Ashby is excellent! He does not rush through your appointment." "Dr. Ashby is great. I can breathe finally and had no problems. Recommended highly." 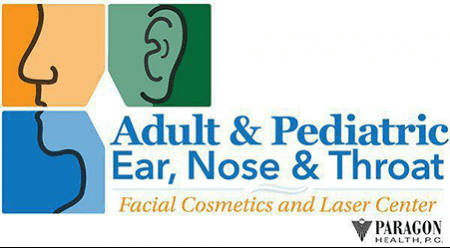 Adult & Pediatric Ear, Nose & Throat is led by Drs. Ely Shapiro, Casey Ashby, and Amber Berry. It is located in Kalamazoo, Michigan. The practice provides both medical and surgical management of disorders of the ear, nose, and throat, as well as comprehensive audiology and allergy services for adult and pediatric patients. The team at Adult & Pediatric Ear, Nose & Throat utilizes the most up-to-date technology to treat a broad range of head and neck conditions. These include sinusitis, allergies, snoring, sleep apnea, chronic ear infections, hearing loss, tinnitus, dizziness, voice disorders, head and neck cancer, thyroid disorders, and chronic sore throat. The Facial Cosmetics and Laser Center in the office uses the most recent technology to offer laser facial rejuvenation, scar revision, permanent hair removal and treatment of stretch marks. Dysport and facial fillers are also offered to reverse the signs of aging. The office also has many specialty services, like environmental allergy testing, hearing testing by certified audiologists, digital hearing aids and custom earplugs, vertigo assessments, bone-anchored hearing aids (BAHA), traditional outpatient surgery, and more. With a focus on patient-centered healthcare, the practice offers the highest level of expertise to individuals and families in southwest Michigan. Adult & Pediatric Ear, Nose & Throat accepts the following insurances. If you do no not see your insurance listed, please call our office and one of our knowledgeable staff members would be happy to help.